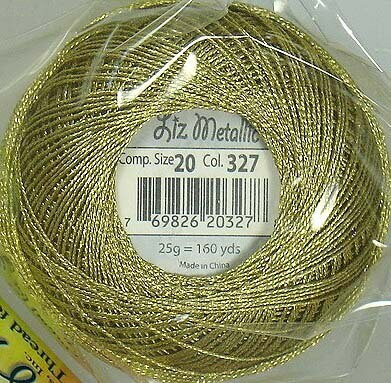 Unique metallic thread for all needle arts! Strong, smooth, kink-resistant. Each ball of thread contains approx. 160 yds of thread. The thickness is comparable to Lizbeth size 20 cordonnet.